Real estate transactions can be confusing, especially for first-time house buyers or sellers. These deals involve a lot of documentation. Having the right professionals can ensure you are on the right track with your transaction. If you want to buy or sell a house, you can utilize the services of a title company in Annapolis, MD. 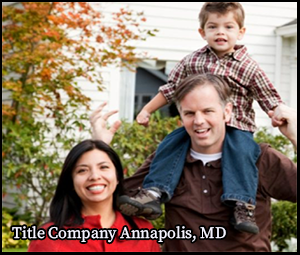 For a reliable title company, Annapolis, MD residents can easily count on Eastern Title. As a title company for Annapolis, MD residents, we offer various real estate services, such as title search, title insurance, and refinancing, at reasonable prices. With the help of a title company, Annapolis, MD residents can be sure that they are purchasing a legally owned property. Professionals from a title company in Annapolis, MD can also provide an insurance policy to protect the owner and the lender from possible legal issues and title disputes. Title Search: As a title company for Annapolis, MD residents, we can provide you with a title search. This process is necessary when a property changes ownership. As a title company for Annapolis, MD residents, we perform an extensive search to check a property’s legal condition. Through a title search, we can confirm if the person or company legally owns a property. As a title company for Annapolis MD residents, we can also check for mortgages, contracts, liens, judgments, and other encumbrances to protect buyers from hidden fees. Title Insurance: As a title company for Annapolis, MD residents, we can issue title insurance, which is important for anyone buying a property. Title insurance protects lenders and real estate owners from possible property loss or damage due to liens, defects, or encumbrances. It insures you from people who used to own the property as well as events that occurred in the property’s past. Consider the reputation of a company before hiring their services. You may start by asking people in the area who also sought the company’s help. Ask them about their experience with the company and learn whether their expectations were met. Before you hire the services of a title company in Annapolis, MD, check its history. How long have they been in the real estate business? Consider the length of experience of a title company in Annapolis, MD. Eastern Title, a title company for Annapolis, MD residents, has more than 20 years of combined experience in the industry. Over the years, our company has handled various commercial and residential clients. As a title company for Annapolis, MD residents, we work hard to simplify transactions for our clients. A good title company can educate you regarding the possible issues you may encounter with your real estate transactions. They can also present various options available to address your concerns. Trust Eastern Title, a title company in Annapolis, MD, for various real estate transactions. To learn more about our work as a title company, Annapolis, MD residents may visit our website today. We look forward to serving you.